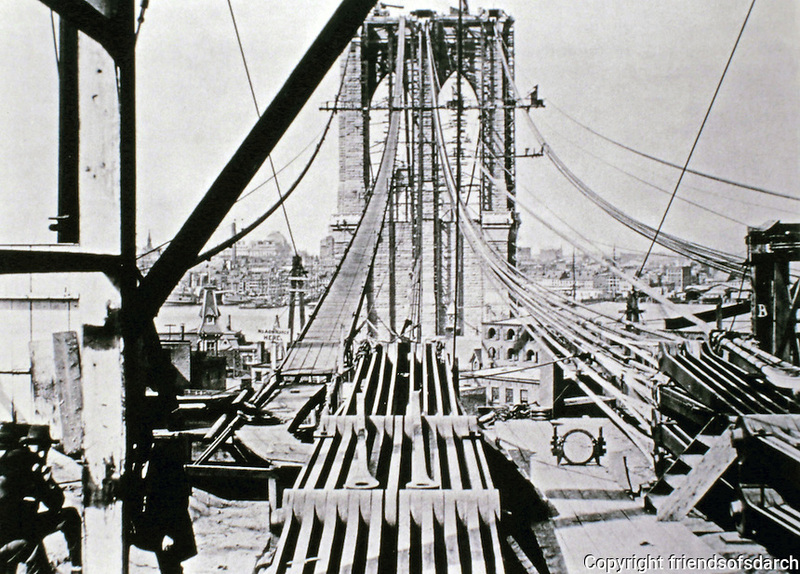 Workers on Brooklyn Bridge--historical photograph. New York City. Started construction in 1870.